I’ve been a professional organizer most of my adult life. From the most humble of beginnings in Kentucky, I now help businesses, non-profit organizations, churches and individuals across the U.S. and around the world. I always try my best to share both practical and inspirational principles and professional organizer techniques. 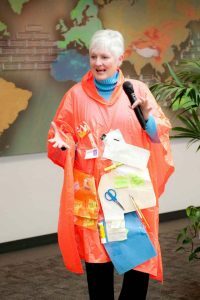 I offer tips, blog posts, articles, presentations, seminars and workshops all for the purpose of educating and encouraging people to reduce clutter, both physically and mentally. Most of my clients have said they needed guidance, motivation, tools, skills, and encouragement. That’s exactly what I do as a professional organizer, and I LOVE what I do. I truly believe everyone can benefit from working with a professional organizer at some point in their lives. What does a $1200 check, $30k in lost jewelry, and a table saw have in common? Those are just some of the amazing discoveries my clients have experienced as I helped them declutter their offices and homes. Some people purchase fancy closet organizing systems. The time and energy to do it yourself- running back and forth to the hardware store- is it worth it? Or is it worth the expense of having a skilled closet company do it? For a fraction of the price, you can hire a professional organizer to declutter and transform the space, making it more functional. Talk to me about alternatives to remodeling. It could reduce the time and expense and accomplish the same goals. We are all more than what we do for a living. I am an author of 3 books, including my autobiography that recounts my life story of adoption by earthly parents, adoption by the Father, and my experience in reconnecting with my birth family. To learn more about my personal journey, continue on to Taken by Surprise, The Extraordinary Journey of an Ordinary Woman. 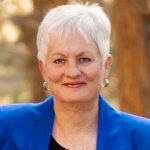 Sue McMillin is president of With Time to Spare, a business productivity solutions company offering seminars and hands-on training in organization management to businesses, non-profits and in private homes. 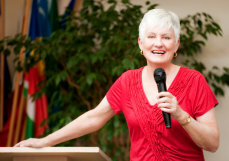 A national speaker and author, Sue has been featured in the Washington Post, Changing Times, and Focus on the Family magazines and other publications.